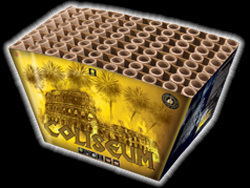 Jubilee Fireworks have an international reputation for the quality of our work. We create fabulous displays for local authorities, Round Tables, community groups and private celebrations. Our largest annual show at Alton Towers resort is widely regarded as one of the most spectacular shows in the annual fireworks calendar. Click here for more information about our world-renowned displays. 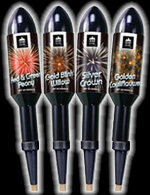 Take a look at our special offer prices on Sparklers and Literopes. These ever-popular fundraising items are available at great discounts to help you raise money for your worthy cause! Our popular one day training course is aimed at anyone who really wants to learn more about fireworks and get the best out of their display. The course is presented in a relaxed and informal way, by trainers with many years experience. The full day course, including lunch, costs �50.00 per person. One free place is available for all clients purchasing fireworks to the value of �1000.00 or more.